To add guest, click on the "ADD GUEST" button at the bottom of the screen, then enter your guest information on the Guest Registration Form. Note: The guest fee is $65.00. The total registration fee for the member and guest is $115. Registration Fee includes Badger Bus travel w/Wi-Fi, garden admissions and docent tours. Lunch is on your own. Join us for a tour of two of the most outstanding gardens in southern Wisconsin/northern Illinois. Recognized as one of the best (and least known) gardens in the Midwest by the American Horticultural Society, Janesville’s Rotary Botanical Gardens http://www.rotarybotanicalgardens.org/ is a non-profit horticultural showcase located on 20 acres close to downtown Janesville. The many types of gardens include a sunken garden, formal French rose garden, Japanese garden, fern and moss garden, alpine garden, shade garden and a demonstration garden. The garden is particularly noted for the thousands of annuals on display and we will be visiting at a prime time to view them. a giant aquarium garden featuring live plants coming out of a sandy “sea floor”. This fun structure looks like a large aquarium with blue sides and two access doors to allow visitors to enter this make-believe, underwater display. You will have time to go shopping in the garden’s gift shop. After the morning tour, we will board the bus to the Citrus Cafe in downtown Janesville. The Citrus Cafe is ranked number 1 of the 122 restaurants in Janesville on Tripadvisor. A private room will be reserved for us and you can order a la carte off the menu (NOTE: LUNCH IS NOT INCLUDED IN THE TRIP PRICE; EACH PERSON WILL ORDER AND PAY SEPARATELY). View the menu options at http://citruscafe208.com/menus.html. If you would prefer to bring a sack lunch, there are benches available around the adjacent public library (Hedberg Public Library). After lunch we will board the bus for the 45 minute trip to the Anderson Japanese Gardens in Rockford, Illinois. The Anderson Japanese Gardens http://www.andersongardens.org/ began in 1978, when Rockford businessman John Anderson was inspired by a visit to the Portland Japanese Garden in Oregon. With the ongoing assistance of renowned Master Craftsman and designer Hoichi Kurisu, the Andersons’ swampy backyard along Rockford’s Spring Creek was transformed into a Japanese-style landscape. From groundbreaking to today, the placement of every rock, alignment of every tree, and layout of all paths has been made with careful consideration by Mr. Kurisu. 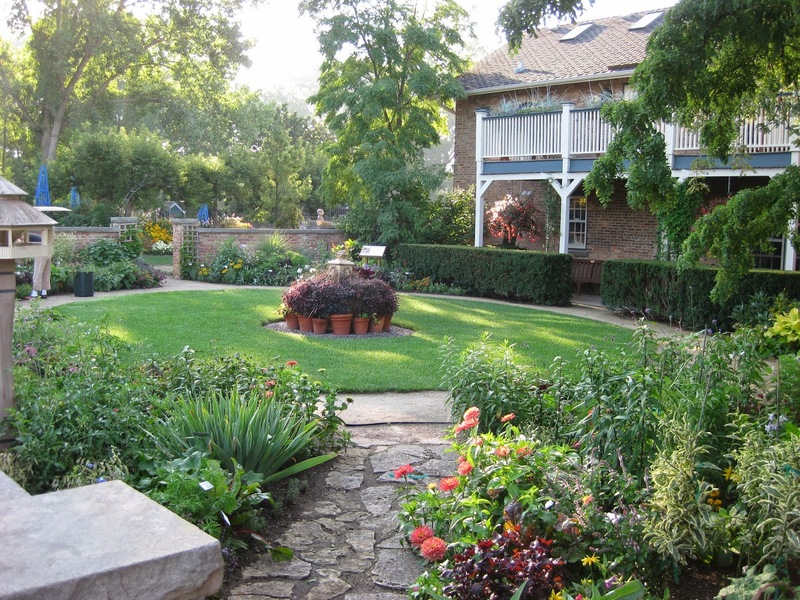 In 1998, John and Linda Anderson donated the Gardens as a supported organization to the Rockford Rotary Charitable Association. It now exists as a not-for-profit entity and continues to grow and change to this day. In 2004 Sukiya Living, the Journal of Japanese Gardening rated Anderson Gardens the top Japanese Garden in the United States (see http://www.rothteien.com/topics/na-survey.htm). In Tripadvisor the Anderson Japanese Gardens is rated the number 1 of 29 things to do in Rockford. Please Note: For the Janesville Rotary Gardens, most of the paths are level and are wheelchair and stroller accessible. See http://www.rotarybotanicalgardens.org/wp-content/uploads/rgb-accessibility-map-2014.pdf for the pathway accessibility map. For the Anderson Japanese Gardens, the paths throughout the gardens are mostly covered with crushed limestone and are easily navigated by strollers and wheelchairs. However, though you are able to view all areas of the Anderson Gardens from the paths, some areas have steps or uneven terrain and are not accessible except on foot. We will be outdoors, so please dress accordingly. Bring a hat and comfortable shoes. A day bag with water and snacks, as well as your camera, is advised. For both gardens, docents will break our group into small groups for the tour. If you get tired or just want a break, there are many benches to sit and read. Do not feel you have to keep up with the tours. 7:45 AM Bus arrives at Oakwood Village to begin boarding. 8:10 AM Bus arrives at Capitol Lakes for loading. 8:25 AM Bus arrives at East Towne Shopko for loading. For further information, contact Bob Shaw, robert.e.shaw@gmail.com and 608-255-3486.